After much time living life, ministering the Gospel of the grace of God along the Eastern Seaboard and representing the Conqueror Lifestyle, there is much that I must do to catch up here on ConquerorShots. 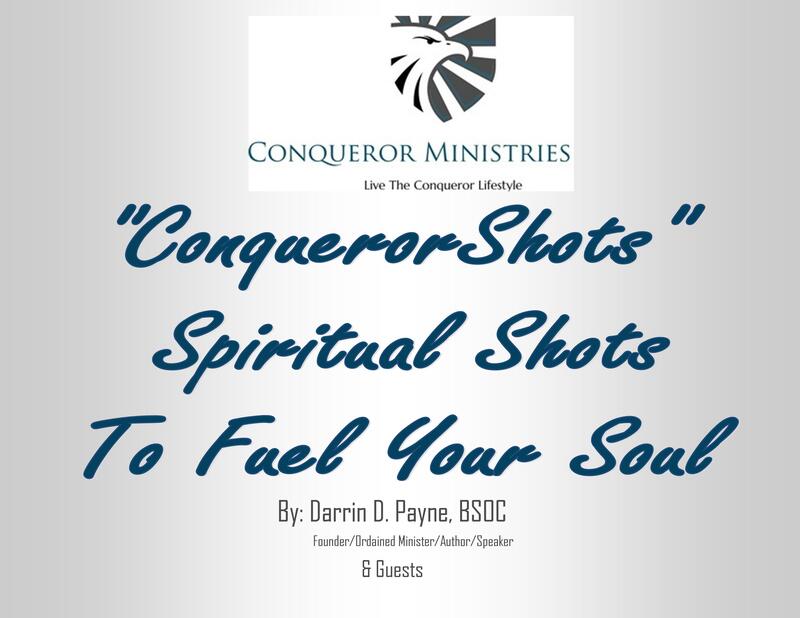 God willing you will come by and get more “shots” for your spirit as God gives me the wisdom to serve them up. Thankfully, my Uncle (mom’s brother) has agreed to contribute to ConquerorShots. He prepared a series of posts that I am grateful to publish on his behalf. Thank God for email, it still has significant purpose in the world of internet communications. What is Grace? is the first of several posts on the way from Uncle Ralph (AKA Uncle June) who the Lord has gifted with a message of truth that will inspire you to work out your own salvation. 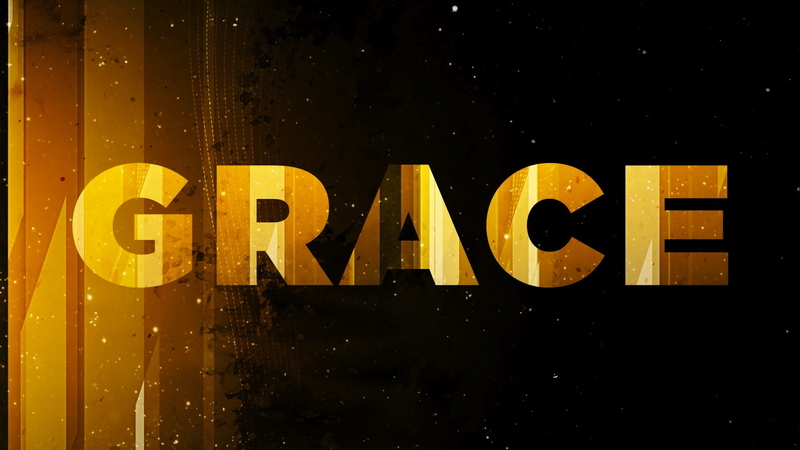 We often hear the word “Grace” but what exactly is it? Grace is the unmerited favor of God. It is where God shows us mercy, kindness, and patience instead of the judgement that we deserve for sinning against Him. If it were not for God’s Grace, we would not ever be saved from His righteous judgement. It was the Grace of God that worked in Christ who bore our sins in His body on the Cross. 1 Peter 2:24 KJV Who his own self bare our sins in his own body on the tree, that we, being dead to sins, should live unto righteousness: by whose stripes ye were healed. God’s grace makes it so that we might be forgiven and justified (i.e. declared righteous before a Holy God) by faith (Romans 3:23-28, 5:1 Read these verses often). And it is because of God’s gracious kindness to all who put their trust in His work on the Cross, they will receive forgiveness, Salvation from their sins, regeneration (i.e. God the Holy Spirit comes within you to impart new life: you are “Born-again), and the Eternal love of God epitomized in the precious gift of Eternal Life. Again, God’s kindness to us is based on His character not on ours. His Grace to us is completely and totally an act of His free will and not based on any ability, merit, or performance of our own. God’s Grace is also manifested to the unbelievers also. Ultimately, all people deserve the judgement of God because all people have sinned. But, God does not execute His judgement upon all people right away. Instead, He is exceedingly patient and kind towards them. Please consider what Jesus said regarding loving our enemies even as God loves the unrighteous. Matthew 5:43-48 KJV Ye have heard that it hath been said, Thou shalt love thy neighbour, and hate thine enemy. (44) But I say unto you, Love your enemies, bless them that curse you, do good to them that hate you, and pray for them which despitefully use you, and persecute you; (45) That ye may be the children of your Father which is in heaven: for he maketh his sun to rise on the evil and on the good, and sendeth rain on the just and on the unjust. (46) For if ye love them which love you, what reward have ye? do not even the publicans the same? (47) And if ye salute your brethren only, what do ye more than others? do not even the publicans so? (48) Be ye therefore perfect, even as your Father which is in heaven is perfect. May God’s Word fill your heart with a desire to seek Him, and Jesus Christ, Lord and Savior. Will you go to heaven? It’s important to know now, not wait.